White Creek is located in the Columbia River Gorge, on 9,940 acres of ranchland, 21 miles east of Goldendale, WA. 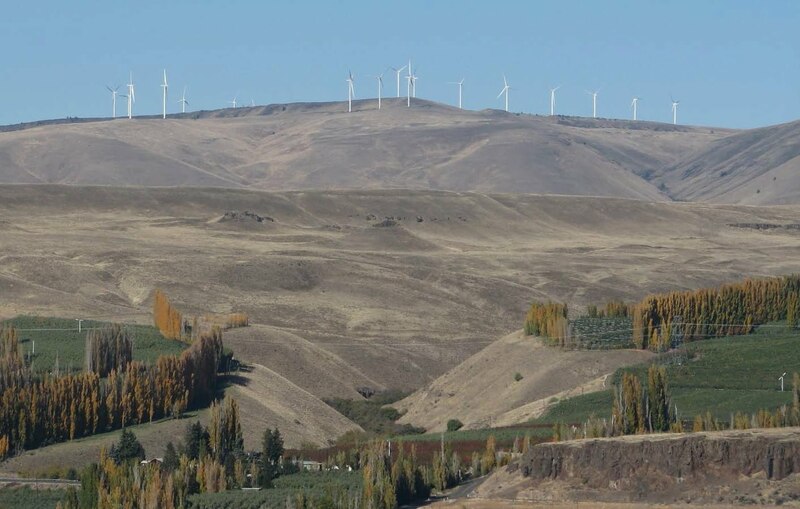 It is just northwest of Roosevelt, WA; across the Columbia River from Arlington, OR. The photo was taken from I-84 in Oregon, just west of Arlington. See CONTACTS for directions to the Site. Construction began in July 2006 on roads, electric transmission lines, two substations, and other infrastructure. Wind turbine towers, blades and other related equipment were delivered from June through September 2007. Wind turbine assembly began in June 2007 and was completed in October 2007. All 89 Wind Turbines were commissioned and producing electricity in November 2007. Commercial Operations Date = 11/19/2007. Siemens shipped the towers, blades, and other components to the Port of Longview, WA, from May 2007 through September 2007. The cargo was trucked from Longview to the Project Site. Installed Capacity of 205 megawatts (MW). The Site will power an estimated 38,000 residences, or, about 427 residences per turbine. 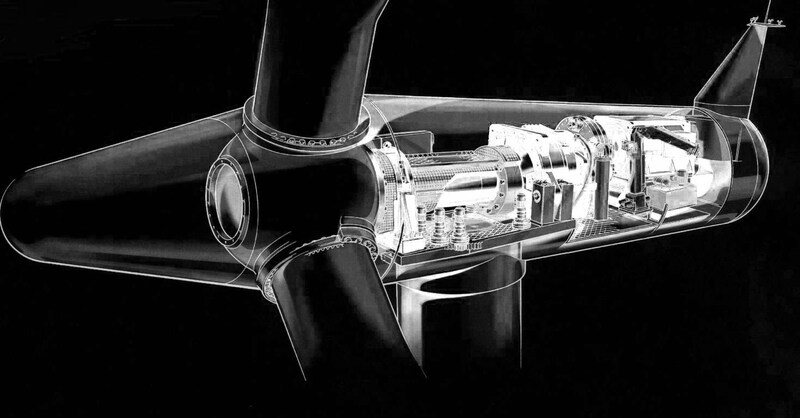 See TURBINE for more information on the Siemens Wind Turbine. Two companies provide onsite support to the 24/7 operation of the turbines. Siemens provides the service and maintenance for the wind turbines. Siemens service organization is committed to providing high quality service and maintenance solutions with high safety standards. Siemens' proactive approach and timely service are key factors for achieving these goals. Siemens performs unscheduled and scheduled maintenance, provides all non-consumable parts including major components. See Siemens - White Creek Partnership page 11. NAES provides the operations and maintenance for the Site. As an independent operator, NAES provides an unbiased service, able to explore every avenue to obtain high quality parts and services at the lowest cost to the Owner. NAES oversees all maintenance activities for the entire Site, including: Environmental compliance, turbine and collection system maintenance activities, CMMS, support of generation forecast and scheduling, NERC compliance, Account and Finance, Human Resources, and Information System. 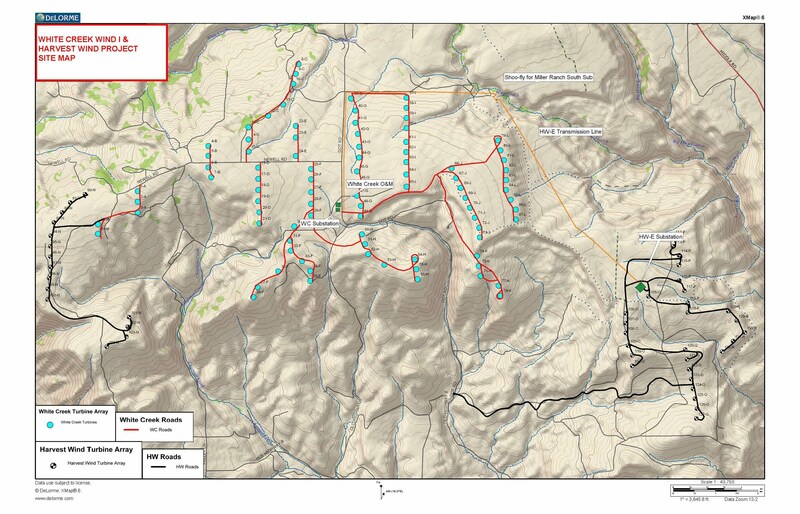 LANDOWNERS: The 9,940 acres that comprise White Creek is all leased, from four Landowners. EQUITY OWNERS: Subsidiaries of Prudential, New York Like, and Summit. 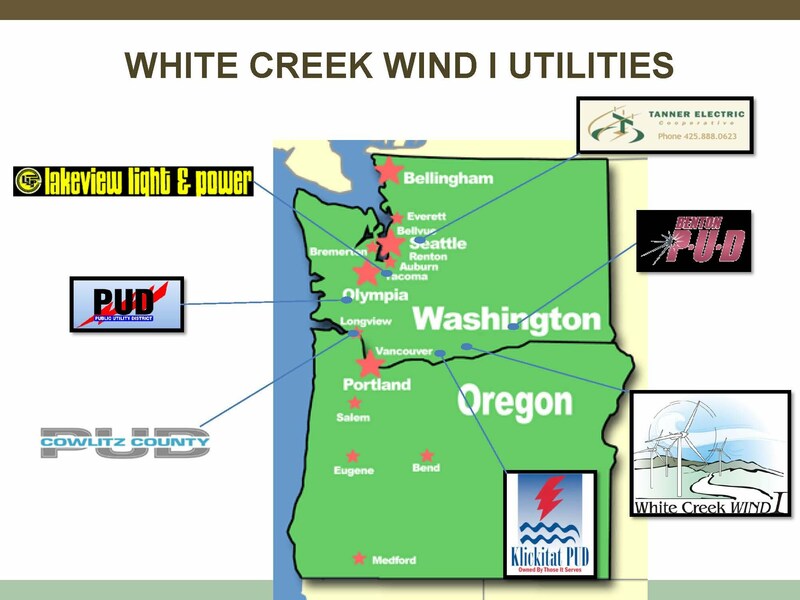 In December 2006, the White Creek Wind Project was sold to White Creek Wind I, an investment group comprised of affiliates of Prudential Capital Group, Lehman Brothers (later sold to New York Life), and Summit Power. White Creek Wind I provided equity capital and is utilizing Federal Production Tax Credits (PTC's) that are available to renewable wind projects. ENERGY PURCHASERS: The four original (later six) utilities entered into a 20-year power purchase agreement with White Creek Wind I. At closing, the utilities paid for the power assured to be delivered during the Contract Term. The utilities have the option to repurchase the project after 10 years. This Law calls for Utilities to use non-hydro renewable energy sources for at least three percent of power resources in 2012, nine percent in 2016, and 15 percent by 2020.